The sun is out, the pool cover is off and the kids are begging to go to the beach every chance they get (which is every other second considering they’re not in school). Summer is here — and yay to that! Winter was brutal and Spring was short AF but who cares when summer days are oh so beautiful! You’ve probably been attending one summer BBQ after another and want to throw your own little shindig. 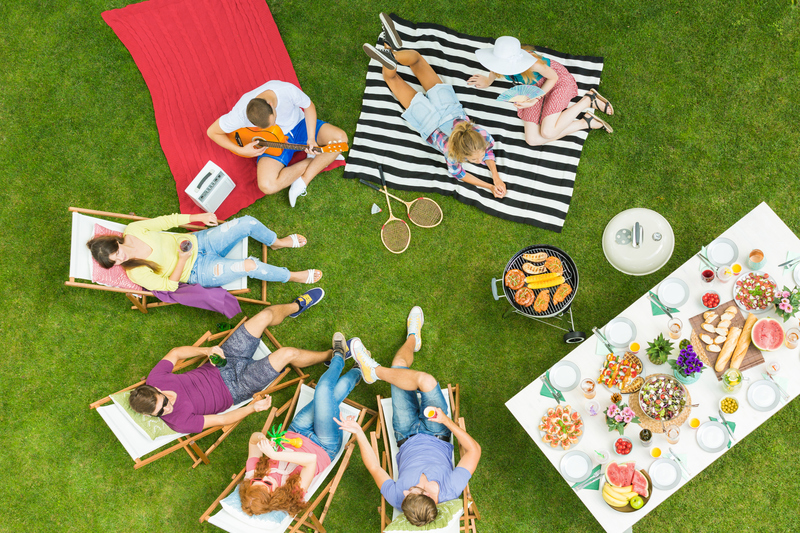 Summer gatherings are a great time to meet up with friends who were hibernating during the winter, eat some food, drink some booze and just enjoy the sunshine. Brunch is pretty much the best time of the day — wouldn’t you agree? So why not theme your gathering around that? We’ve gathered some great summer brunch ideas to give you some food for thought for potential decor, food and the all important summer brunch party invites (which you can send without ever leaving the poolside). Look through and pick the ideas that speak to you and leave those that don’t. And remember — these are just ideas, so let your creative self get inspired to turn your own brunch gathering into something magical. No need to copy everything directly (don’t feel like you must match things identically) unless of course you’d like to. Let these summer brunch ideas inspire you to do– you. 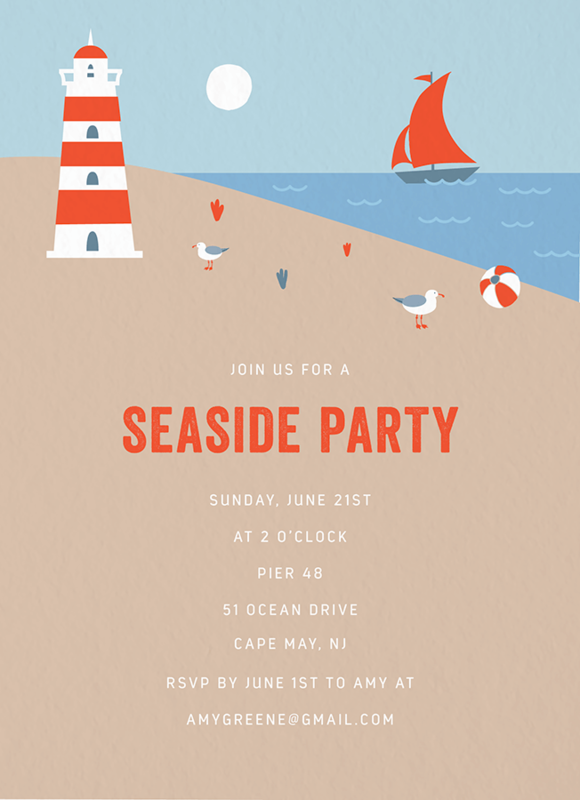 Not sure which summer brunch party invites will get just the right feel for your gathering? Click on the link below each design to test out the template with your very own details to see how the invite will look. 1. The ultimate summer brunch party invite. 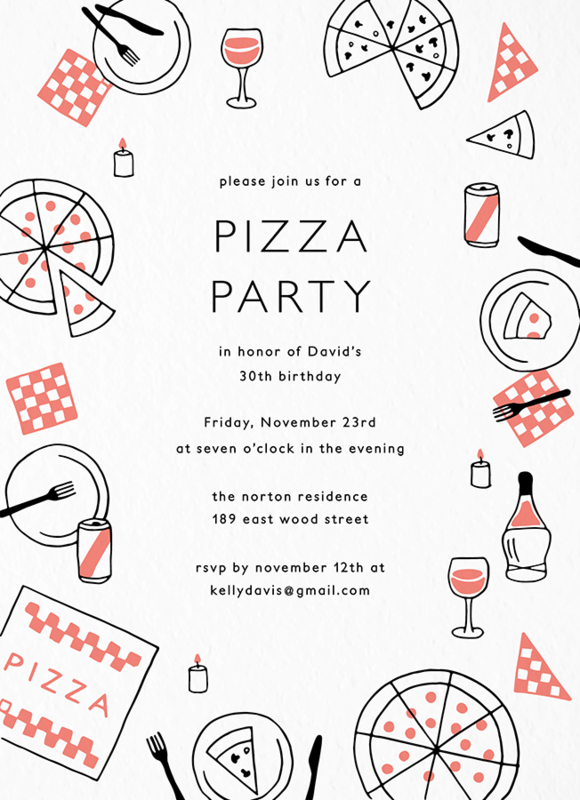 This party invite design couldn’t be more perfect. It’s got the banana and the glorious avocado — any potential guest to receive this invite is destined to RSVP with a big exciting YES. You can choose to theme your gathering around these core ingredients or not — you do you. 2. Floral & citrus decor. 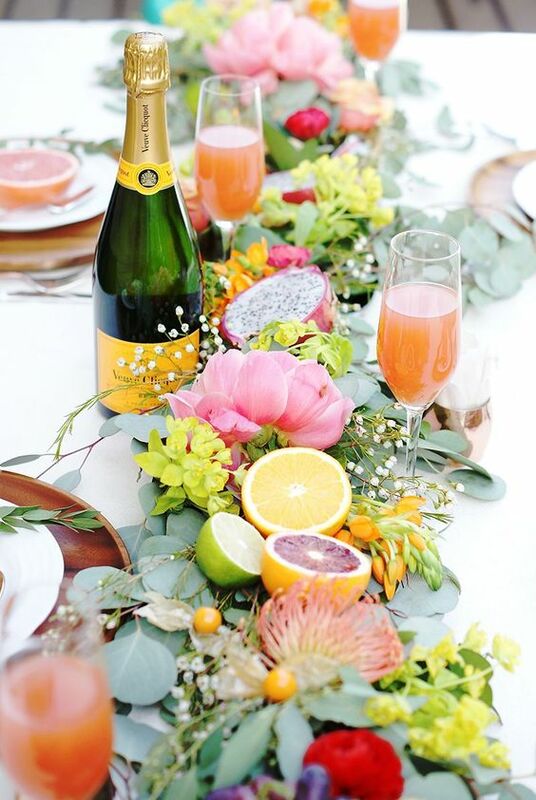 Ok so going along with the previously mentioned lemon-adorned brunch invite, why not use fruits along with some flowers to decorate your brunch tables? They’re full of color and make for a eye popping centerpiece. Simply add some flowers and a few bottles of bubbly and you’ve got yourself a colorful table runner. Use whatever fruits you’ve got available — they’re all full of color and will work well no matter what. 3. 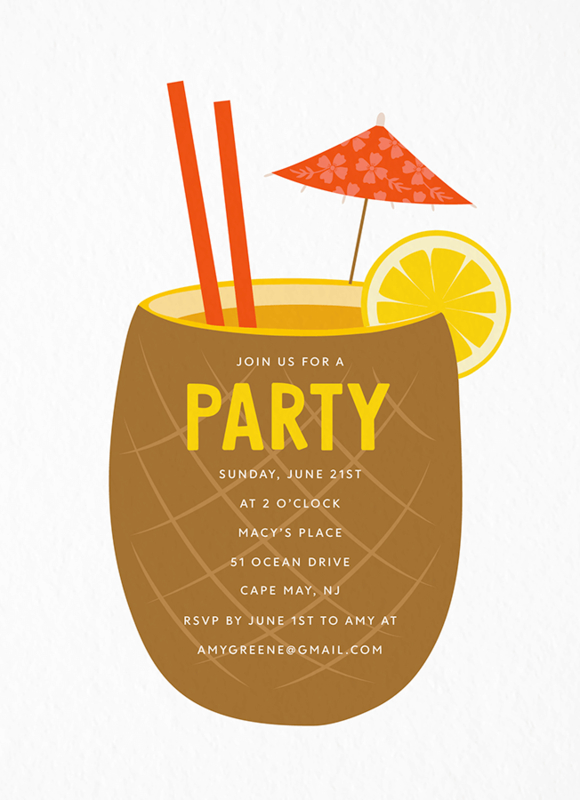 Pineapple summer brunch party invite. 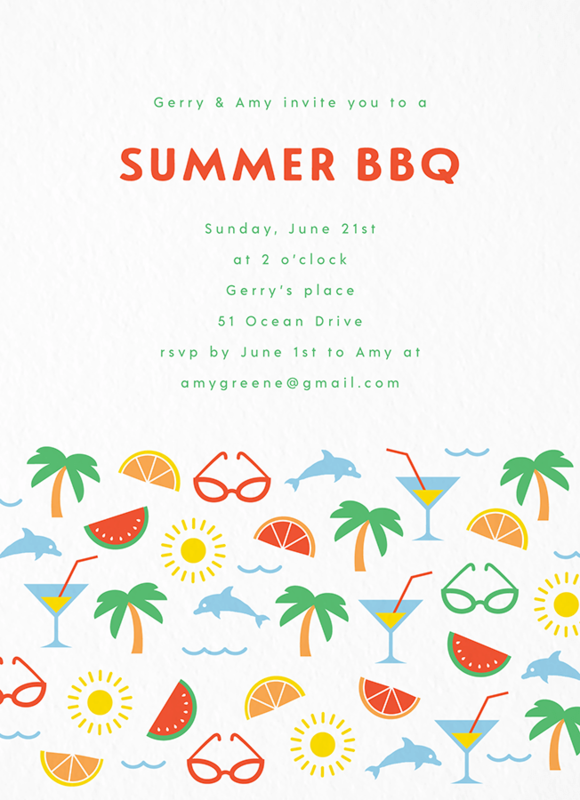 Want a summer brunch party invite with a little bit more of a summer feel? We got you. Check out this adorable pineapple cocktail party invite?! Everything about it screams summer time! If you really want to get into it — use hollowed out pineapples to serve your guests drinks. Every good brunch party should have a refreshing cocktail (or two) for the guest (and host) to enjoy. 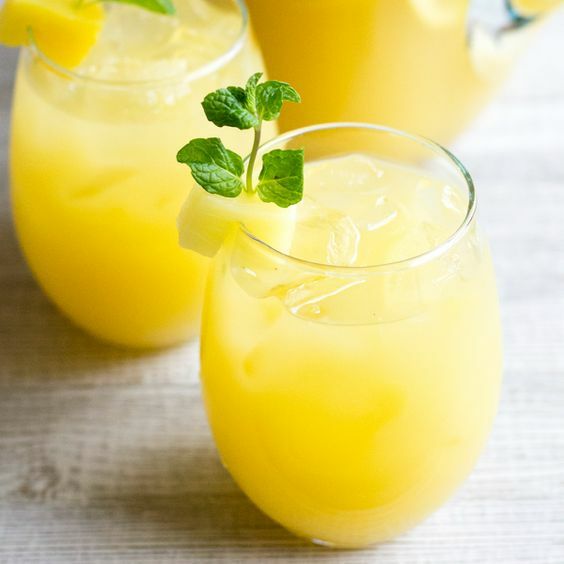 If you’re going to go with the pineapple themed party invite, how about this pineapple themed cocktail for your summer brunch? Garnish with a little sprig of mint and you’ve got yourself an insta-worthy cocktail. Pour it into a hollowed out pineapple (as previously mentioned) or don’t. Few things say summertime quite as well as the pineapple — so why not go with it? 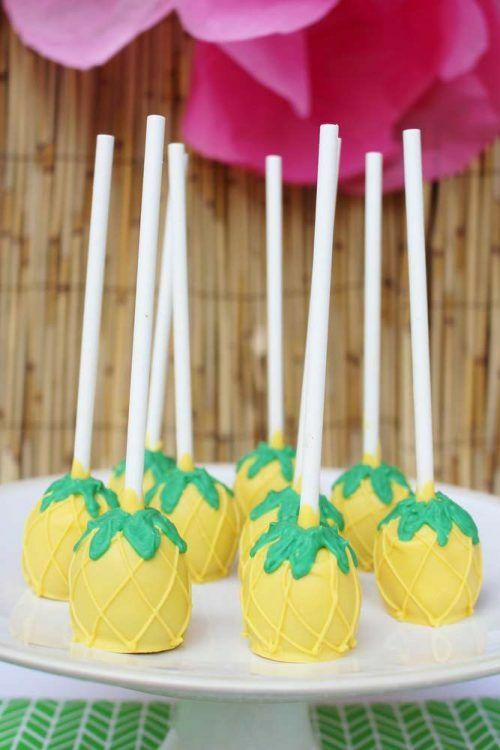 Everything from the cocktails down to the sweet cake treats can use the pineapple theme. Make tiny cake pops like these to incorporate the theme into your gathering. Everyone loves a good upside down pineapple cake — right? So pineapples not your thing? 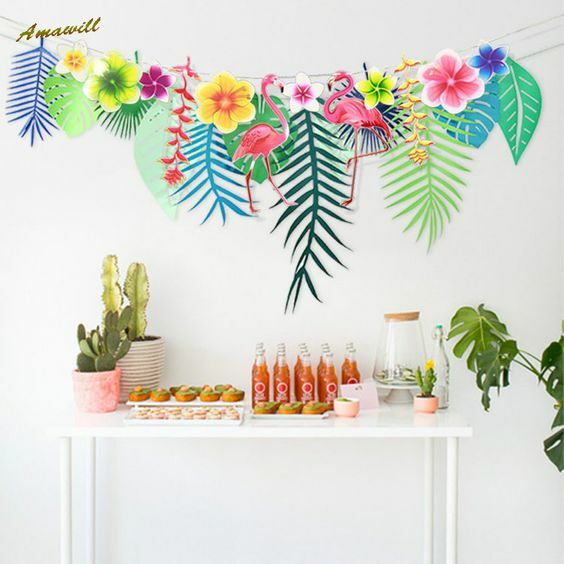 It’s cool — we’ve got plenty more summer brunch party ideas coming your way starting with this tropical summer party invite. Ok, so you can’t exactly eat a flamingo (at least we hope not), but they make for some pretty adorable party decor — they’re so pink! 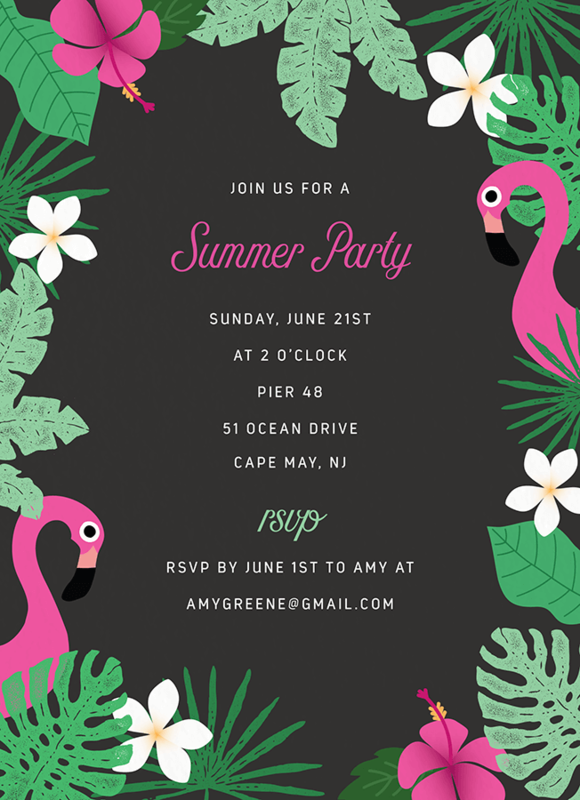 If you want to go more for a tropical summer party theme — this invite is for you. 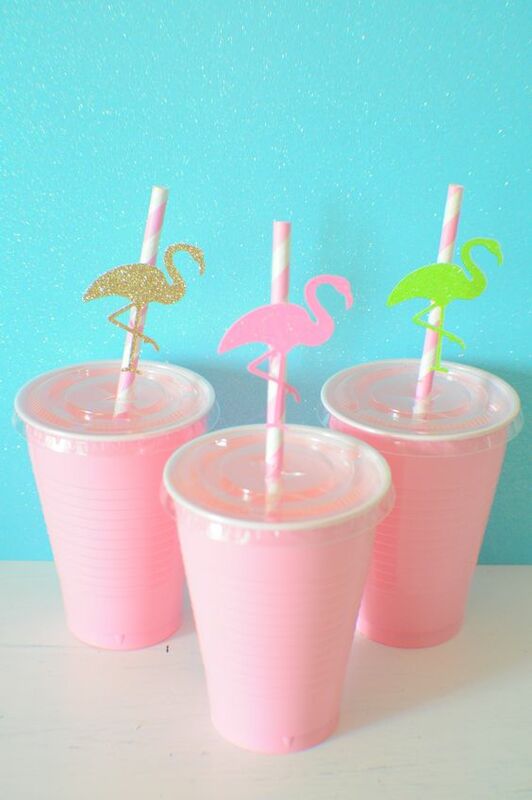 A super easy way to incorporate this theme is with these fun little flamingo straws. Probably the easiest of all the summer brunch ideas out there. Perhaps you’d like to take a stab at throwing your very own summer BBQ — you’ve been a guest at enough of them to know what it takes. But why not make your BBQ into a brunch party? Again, everyone loves a good brunch — add some yummy BBQ in there and you’ve got yourself a stellar party. What’s a BBQ without some frozen pops to get your mind off the heat? This little twist on the sweet treat turned adult beverage pops are sure to be a hit among your brunch party goers. We love the celery stick turned popsicle stick idea! Every good brunch BBQ requires delicious — well, BBQ. 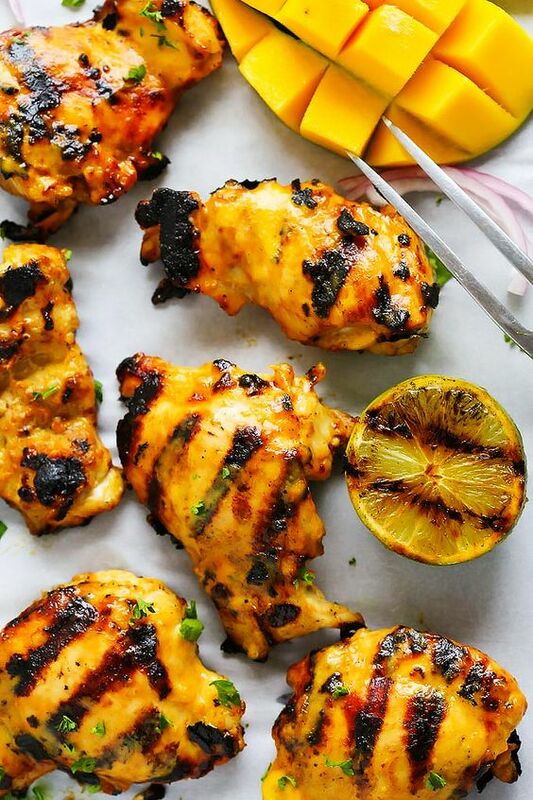 This recipe will give you some ideas for what to grill for your big day. Pizza for brunch? Who wouldn’t love that?! Take your pizza party out by the pool and you’ve got yourself a pretty stellar summer brunch party with a pizza twist. 13. 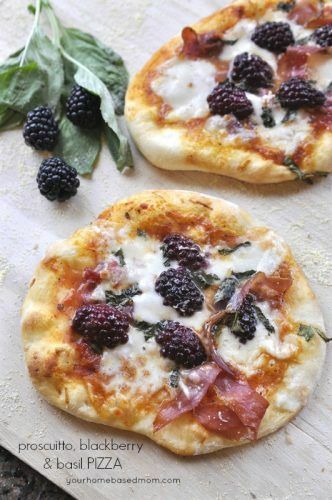 Prosciutto, lackberry and basil pizza. Holy yum. Everyone loves pizza, but what about taking the old recipe for a spin. If you want to do something a little different for your pizza brunch party try this recipe. 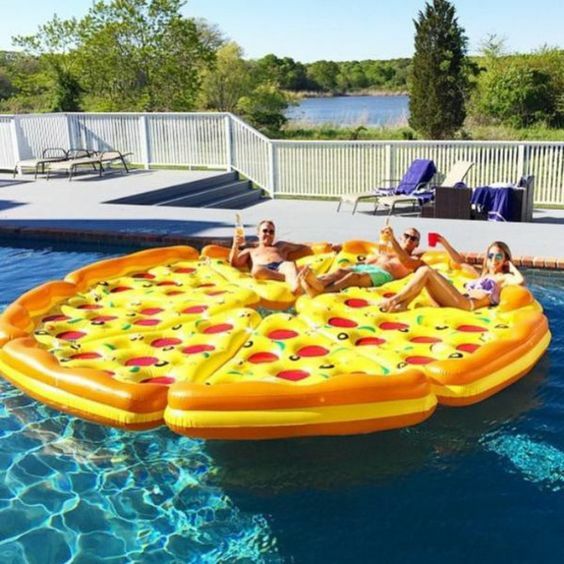 Nothing says pool party like a giant pizza floaty.Skip the traditional summer brunch decor and host your get together by the pool with this giant pizza floaty. A lovely beach day combined with some yummy brunch food makes for a delightful summer brunch party. Throwing your summer brunch party at the beach makes decorating a total [sea]breeze. Your surroundings are already the perfect backdrop so all you have to do is bring along some umbrellas and a few blankets to lay on. If you have the space, throw in some pillows to give your party some personality. 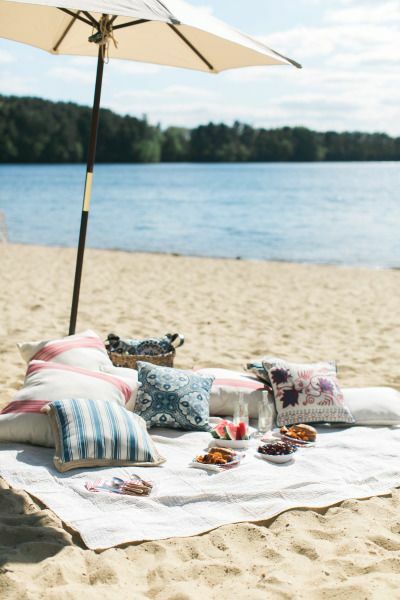 Take this beach picnic decor and multiply it a few times so that you fit everyone on your guest list. 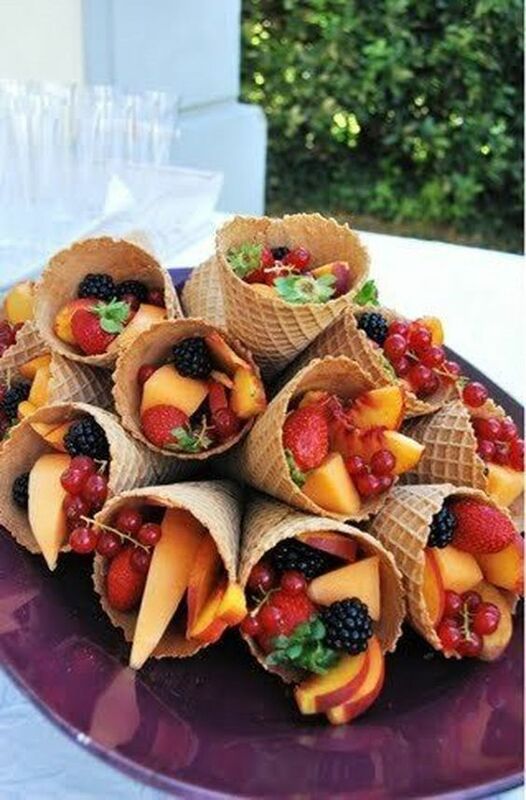 Great idea for serving fruit at your beach brunch get together. Simply bring the ice cream cones and the fruit separately and then easily assembly this tray once you’re at the beach. Easy packing, cute and delicious! There you have it. 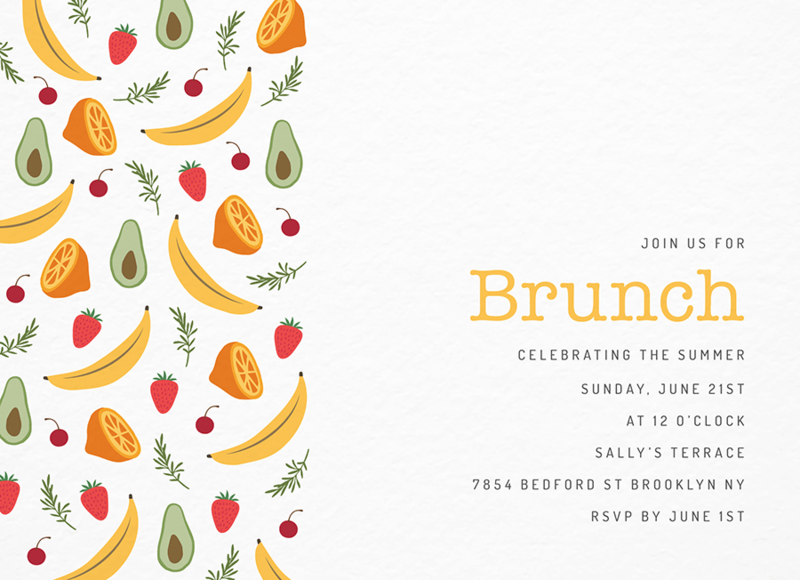 The seeds have been planted, now it’s up to you to go out into the world and [grow] throw the most epic summer brunch party that there ever was. Or you know, just a fun little gathering with you and your friends. Happy summertime! All of these is so cute. Postable, thank you ever so for you post.Much thanks again.